$85 for light, medium tissue massage for 1 hour for relaxation or to help with pain. $68 for Student and Disablity Massage Treatment. Discounted massage for people with a valid disablity sticker or a valid student card. $75 for one hour maintenance for anyone who has completed one of our treatment plans. $85 for one hour deep tissue massage to help with pain. $95 for a 10-15 minute assessment followed by a one hour deep tissue massage. Recommended for your first visit. People with serious chronic pain will want to consider the longer consultation session. $125 for a 30-40 minute holistic consultation to design a detailed plan for alleviating chronic pain, followed by a one hour deep tissue massagetreatment and stretching regimen. $550 for Acute Pain Treatment – 3 sessions. A 2 hour holistic assessment session, including medical history and dietary planning, followed by a two hour deep tissue massage. The next two sessions involve a one hour followup assessment with 2 hour deep tissue massage. A 35% savings over our standard massages. $440 for Reduced Acute Pain Treatment – 3 sessions. A 1.5 hour holistic assessment session, including medical history and dietary planning, followed by a 1.5 hour deep tissue massage. The next two sessions involve a one hour followup assessment with 1.5 hour deep tissue massage. A 35% savings over our standard massages. $665 for Severe Pain Treatment – 4 sessions. A 2 hour holistic assessment session, including medical history and dietary planning, followed by a two hour deep tissue massage. The next three sessions involve a one hour followup assessment with a 2 hour deep tissue massage. A 35% savings over our standard massages. $535 for Reduced Severe Pain Treatment – 4 sessions. A 1.5 hour holistic assessment session, including medical history and dietary planning, followed by a 1.5 hour deep tissue massage. The next three sessions involve a one hour followup assessment with a 1.5 hour deep tissue massage. A 40% savings over our standard massages. $890 for Chronic Pain Treatment – 6 sessions. A 2 hour holistic assessment session, including medical history and dietary planning, followed by a two hour deep tissue massage. The next five sessions involve a one hour followup assessment with a 2 hour deep tissue massage. A 45% savings over our standard massages. $53 for 30 minutes of assessment and prescription of Chinese Herbal Formulas for various symptoms. $93 for 1 hour of assessment and prescription of Chinese Herbal Formulas for various symptoms. GIFT CERTIFICATES AVAILABLE UPON REQUEST. Tuesday through Saturday: 9:00 am to 6:00 pm. Gracie truly has healing hands and I would recommend her to anyone who is seeking relief. 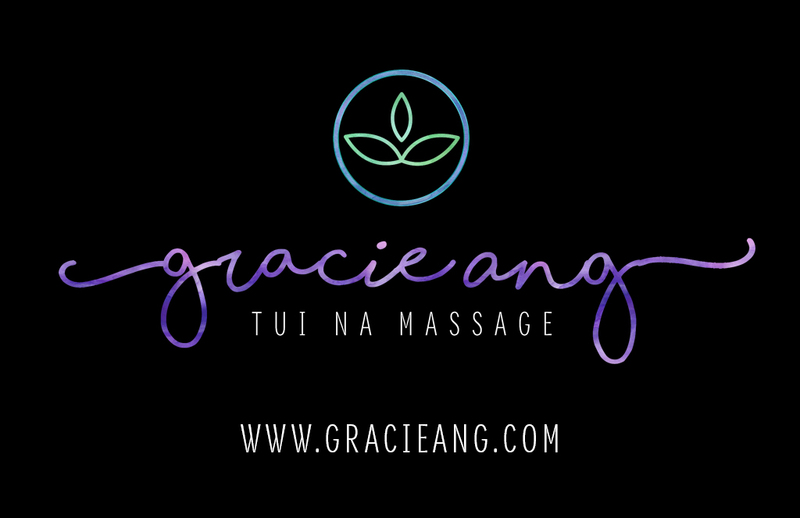 After seeing Gracie Ang Tui Na Deep Tissue Massage Practice, overall result was really good (95 percent) and I was surprised it did not take more than the third massage treatment to get such good result. I am now enjoying a pain free body and I would go to Gracie’s massage practice on a maintenance basis.